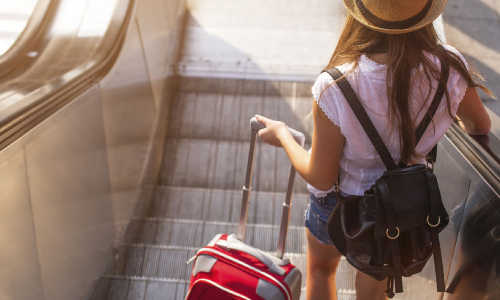 If you’ve ever wondered what this growing trend is, then these 5 steps can help you make the most of yur next vacation. Ecotourism goes by many names, like green travel or ethical travel, but what exactly is it and how can you go about doing it? While though I understand the concept behind it, even I had a tough time figuring out how to leave nothing but my footprints behind when traveling. I decided to take some advice and a well deserved trip to the Grand Canyon. These are the five sustainable steps I followed to keep things as green as possible. Packing light is the first step to making your travels as eco-friendly as possible. A lighter load means better fuel efficiency for the plane you are flying on. While it was difficult to pick and choose only the necessities, I found that the money saved on baggage was well worth it. This is one you can do at home as well, but save water everywhere you can. I took shorter showers, turned off the faucet while brushing my teeth, and even re-used my towels for a few day instead of washing them. Honestly, I didn’t find this part all that challenging. Sure, I didn’t get to take a luxuriously long shower but I did my part to not waste a precious resource. Plus, I didn’t even have to use the hotel’s laundry service. These are things I do at home already, but they certainly help to keep things green. 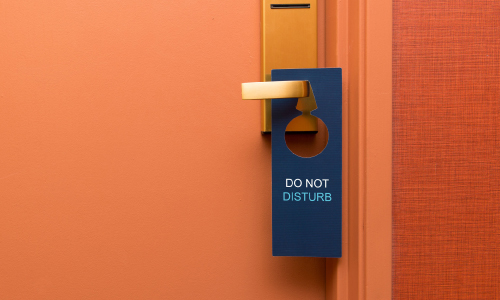 The easiest way to accomplish this step is by turning everything off (AC, TV, lights, everything) and putting the “Do Not Disturb” sign on the door. That keeps housecleaning from using up energy to run the vacuum while keeping my room free from harsh cleaning chemicals. While it might be common sense to not throw your trash wherever you’d like, I actually found it difficult to break a few old habits for this one. For instance, returning brochures and maps when I was done using them took some getting used to. Things like refilling the same water bottle all week and using only one bar of soap for both my shower and hand washing routines also took a little more conscious thought than I’d like to admit. I’m a huge fan of adventure. but straying from hiking trails can harm the native flora, which can have negative consequences to the rest of the ecosystem. By not straying off on my own path, I was helping preserve local wildlife! I would like to add respecting the culture and the area to this list. While Arizona isn’t exactly exotic to us here in the states, it adds to the traveling experience when you immerse yourself in the ways of a people. How do you stay green when travelling? I’d love to hear about your travels and experiences!